EXCLUSIVE AT NET-A-PORTER.COM. 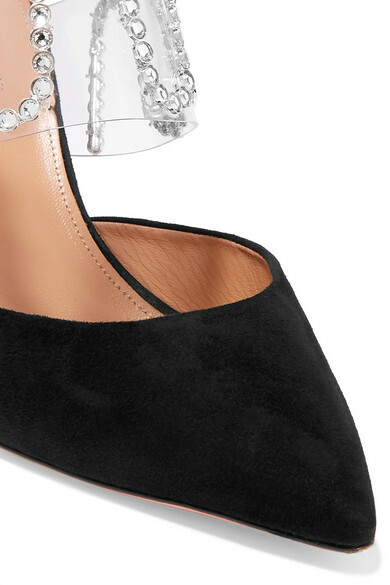 Aquazzura has teamed up with some of the biggest (and coolest) names in jewelry to make its shoes really shine. Designed in collaboration with gem expert Sabine Getty, these pointed mules have been made in Italy from black suede and clear PVC - the latter of which is adorned with a wavy line of silver crystals. Our stylists love them with cropped pants. 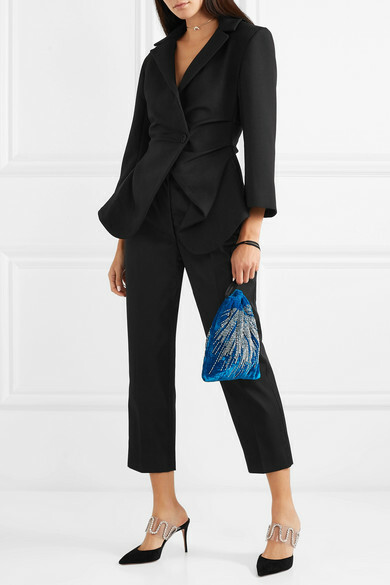 Shown here with: Jacquemus Blazer, Jacquemus Pants, Attico Pouch, Anissa Kermiche Necklace, Anissa Kermiche Ring.